I was listening to a radio talk show the other day and a call-in was talking about a fast food chain. He was criticizing a hamburger chain and said after he stopped eating their food he started to feel better. He started to lose weight, and he said he wasn’t so depressed all day. So, I started to think about how I felt when I was heavy and it did feel depressing. I didn’t like the way my clothes fit, I felt self-conscious. I felt like people were staring. I didn’t like eating in-front of others. I had this lonely feeling. That was then and this is now. Today most people are overweight so a person can have that sense of well-being because their friends are the same as they are. Being overweight has become the new normal. So, what’s wrong with that? Well, the problem is your health. When you’re a young adult, carrying around extra weight doesn’t bother you. You can still be active and in most cases you still have control of your blood pressure, blood sugars, cholesterol and other vitals, so you’re not worried about your weight. But as you get older and see the doctor more often, that’s when you find out what effects the extra pounds have had on your body. Extra pounds, especially belly fat, will age your body and your organs beyond your real age. You end up being a middle age person in a body that’s 10 years older than you. You will actually shorten your life, the more extra pounds you have, the shorter your life. The extra weight that you put on throughout your adult life is extra strain on your joints and organs. Your organs don’t keep growing just because you gain weight, when you reach your adult size, usually age 18 to 22, that’s as big as your joints and organs will ever be and the extra weight will just ware them out. Monitor your weight regularly and see a doctor if your overweight. Being overweight will also cause diseases like cancer or diabetes just to name a few. My last post was about quiting sugar and I received emails and comments that totally agreed with me. So today I want to add a few more words about refined sugar and refined flour. Actually both white sugar and white flour have been processed to the point where most all the nutrients have been stripped away. When this had become common knowledge the manufacturers changed their product to an enriched white flour by adding chemicals to substitute for the nutrition the product was missing. The changes were made several years ago before we now know that chemicals in food not only don’t totally get absorbed into the body but can actually be harmful to the body. Not everyone has the same ability to fight off the affects of chemicals in the body. White sugar in the body isn’t real sugar from sugar cane. Sugar cane or sugar from sugar cane isn’t white it’s more brown in color. In the process of making granulated white sugar the crystals have to be bleached white so whatever nutrients were in the plant have been stripped out so it’s still sweet to the taste but now science thinks that the chemicals used to bleach rawl sugar might be causing a chemical addiction to white sugar. The reason for manufacturing white sugar started because bakers couldn’t use the granulated brown crystals for commerical baking. The same reason for flour. The original flour used for centuries, was too coarse for commerical bakeries, it took too much time for bakers to grind the coarse flour into a fine powder, so something easier to use was created and because it was cheap to make it could be sold on the retail market besides. Science has proof that when you quit using white sugar which means you have to stop eating any food that contain sugar or sugar substitues that most people will see an improvement in their health. White flour may or may not be a hazard to your health but is probably the major cause for obesity. All manufacturered products from pasta to bread, cake, cookies, pretzels, you name it, it contains some white flour. You might thing that because you buy rye bread or some other brown bread that it has no white flour but in this country commerical bakeries use some white flour in everything they make. When you read the labels you might see a few different flours in the package of pancake mix or loaf of bread but somewhere on the label it will say wheat flour or bleached wheat flour. Wheat flour is even in your breakfast cereal. Many diets today want you to avoid all processed foods because of the white sugar, food additives, wheat flour, and other chemicals that can be in processed foods. The weight problem the all humans have today, I believe, can be contributed to manufactured or processed foods. A lot of restaurant food your eating is processed food created in factories because it cheaper to create the food in large amounts and then ship to stores and restaurants the amount they need. This also helps to keep prices lower to increase the volume. I’m not saying that you can’t find healthy food because you can. In some parts of the country and the world you can still find the butcher who will cut your meat in front of you, meat that has never been frozen an was delivered to his shop just a few hours before. A good butcher shop will receive fresh meat every day. A busy produce market will get fresh produce every day. Produce that was never refrigerated or frozen. It come straight from the farm. To sum up this post, I just want to say that cancer is something we put in our body when we eat something the body can’t deal with. The problem with chemicals in the body is that the body stores the chemical because it can’t process it and we eat more every day and the body keeps storing it and the storage area keeps growing because chemicals in the body will never dissolve or dissipate. Remember this last sentence if nothing else. I just finished a sugar detox, no foods with added sugar for 10 days and I found it was tougher then I thought but only the first two days and after that no problem. Many of us try to fit a cheat day in the schedule somewhere. They want to do a detox but they feel they should have a cheat day. There’s a problem with that and you should read the following to learn about the problem with “cheat days”. So cheat days sound like a good thing, right? Not so fast. The logic behind these days has more than a few flaws, and it’s due to the psychology and physiology behind them. The trouble with cheat days start with the wording. On the flip side, labeling foods as “good” or “healthy” can also backfire. Science shows when we think something is healthy, we’re not concerned with portion control and thus overdo it—whether it’s a “normal” day or a “cheat” day. Yes, there can be too much of a good thing. Along these same lines, thinking of a meal or snack as “healthy” can have a surprising effect on our hunger. Studies show merely considering items we put in our mouth as “healthy” can literally make us feel hungrier—especially if we select a “good-for-you” item out of obligation over something we’re truly hungry for. There’s a very fine line between a cheat day and a free-fall into food bingeing, especially if you’re, “white-knuckling it during those other six days of sticking out a meal plan you don’t particularly like,” says Ryan Andrews, R.D., author of Drop The Fat Act and Live Lean and coach with Precision Nutrition. Once that day of indulgence comes, it’s not about enjoying the foods you haven’t had all week. Instead, you’re approaching it out of a need to consume all you can before the day goes away. “It feeds into a feast-and-famine cycle,” Andrews says. During the first week of a new diet, most people experience an increase in cravings for coveted foods, but when people stick to a balanced weight loss diet, the tendency to occasionally overeat actually goes down over time, Martin says. Forget about designating a cheat day to reward yourself. Denying yourself most of the week and then indulging like crazy on your one day “off,” just promotes bingeing, anxiety, and shame around eating, —which means you won’t likely get to the health outcome you’re looking for. Instead, make every day a great day by listening to your appetite, periodically adding in some of your favorite foods in small portions, and savoring each and every bite of everything you eat. This sustainable approach will help you think of all of your eating as enjoyable, and that’s what gets you down the road to where you want to be. Using this type of sensible diet instead of a restrictive diet is the best way to go. How even this doesn’t mean you should continue eating the same foods you’ve been use to. This is where I think you should consider the Mediterranean diet. The foods and the diet of the Mediterranean people has astonished science for decades. These people have far less health problems then the rest of the western world. For on thing, they eat less animal protein, which means less animal fat. They eat almost no red meat. You can find information on the Mediterranean diet on this blog. In some of my posts and on the diet page. An earlier post was about heredity and how some weight conditions can be caused from your family genes, but I believe it’s more about your family history. The food you ate the first few years of life. We don’t really know how much a child is affected by his informative years. What if the foods or maybe the sugar or fats that you consumed during those informative years created a pattern and gave you the cravings you have today? The good news is that we can correct those cravings, change them and even ignore them. I don’t think food gets boring. If I think I could lose weight eating 1600 calories a day, then I would surf the INTERNET for foods I liked and foods that would work for me. I don’t eat out much. I use a crock pot to make a meal for that evening but before I eat dinner, I divide the meal so I have enough for lunch the next day. And you might think you don’t have time in the morning but you can prepare the dinner at night, put it in the fridge and then fill the crock pot in the morning. In the morning you have coffee and a yogurt cup. The yogurt cups are about 150 calories, you can bring some with you when you pack your lunch. Your crock pot dinner can be about 1000 calories, that’s usually dinner for 4. Your bringing about half for lunch and save half for dinner. Even if you ate all four portions in one day and 3 yogurt cups with fruit. Drink only 0 calorie drinks like tea, hot or cold, or coffee, water or any other 0 calorie drink. You’ll be under 1600 calories for the day. It’s not that hard to count calorie’s. O.K., maybe you don’t think you’ll like yogurt and that’s o.k., you can find other things. I like yogurt because, first of all, if you ask anyone that eats healthy, they eat yogurt at least once a day, but I eat it for the protein. You can’t get all your protein from meat, it’s just too much cholesterol. So I eat diary for part of that protein I need. 1600 calories is the right amount for anyone on a weight loss program, but you still have the job of burning those calories. Actually you have to burn more then 1600 calories to loss weight. Burning calories is the big unknown in the weight loss world. How does anyone know how many calories they’re burning. It is an unknown number but don’t let it make you crazy. It’s not that important. As long as you know how many calories your eating. Don’t adjust your eating, stay with the 1600 a day and adjust your activity level. Increasing activity can be as simple as walking more. Try an walk 30 minutes a day more and that might be enough. If not do 30 minutes twice a day. If you consume a little amount of fat grams and avoid processed foods, stay with the 1600 calories a day plan, then it’s just about your activity level. If you burn 1700 calories a day and eat only 1600 you’ll lose weight. If you burn only 1500 calories then you’ll gain weight. It’s that simple. If you can’t lose weight then your eating too many calories. Cut back to 1400 calories a day for a week and see what happens. Your in control of this. Equipment doesn’t fit. Some exercise equipment is not appropriate for larger bodies. Weight lifting machines, for example, may not accommodate a bigger body and that can make using the machine both uncomfortable and ineffective. Different movement dynamics. People who carry more weight move differently than people who have smaller frames. The center of gravity is different for an obese body and for that reason, taking some group exercise classes may be less comfortable. Overweight exercisers may have a hard time keeping up with the tempo of a fast-moving class, not because they aren’t coordinated but simply because it takes more time for them to move through the steps. Trainers aren’t qualified. An exercise program for an overweight client needs to specially tailored to their body type. Exercises that require them to lay on the floor – like abdominal crunches – are generally not appropriate for larger bodies. But not all trainers are qualified or aware of these special considerations. Intimidating environment. Let’s face it, going into any new environment is challenging. But going into a gym when you feel out of shape and out-of-place is especially challenging both emotionally and physically. So how do you start an exercise program if you are overweight? Use these tips to make the process easier. Find the right workout. Not all workout formats or classes work well for bigger bodies. Use my list of the best workouts for overweight exercisers to find an activity that you enjoy. But don’t be afraid to try different styles and types of exercise. For example, functional training is helpful for people who need to burn more calories each day through NEAT. The best workout for you is the one that you do on a regular basis. So find a workout that fits with your lifestyle and your schedule. Get properly equipped. What’s the best way to prevent injury and stay comfortable during your workouts? Equip yourself with good shoes and proper workout attire. Visit a local shoe store to get personalized attention and expert advice about the best shoes, socks and workout apparel. Ask for help. If you are new to a health club or exercise class, introduce yourself to the instructor or trainer and ask for help. When exercise specialists know that you are open to feedback, they’ll be more willing to interact with you during your visits and provide advice and support. Take small steps. Remember that weight loss and improved health take time. But your commitment is worth the effort! Set SMART goals to guide your weight loss journey. Then, as you make progress, adjust your goals as necessary. Give yourself credit. You’re going to have good days and bad days at the gym. But remember that even a “bad” workout is a worthy accomplishment. Remember to give yourself credit just for showing up on a regular basis. Track your progress. Record important data about the type of workouts you are doing, the duration of each session and the workout intensity. Also include notes about how you felt during each session. Review your weight loss journal if you need to make adjustments to your program or if you need a reminder of the hard work you’ve already accomplished. Cut down a bit of stomach fat every day by using this 1 weird old tip. Remember that your workouts will help you to lose weight, but they will also help you to sleep better at night, improve your health and reduce your risk of disease. Even on the days when you don’t feel like it, stick with your plan and you’ll reach your goals. This article talks a lot about workouts at the gym, but I find that the gym isn’t a good place for beginners. You’ll feel out of place unless you go with a buddy who is a regular. But if you are alone and want to go, I suggest you sign up with a trainer the first day. Some trainers will work with you a day at a time, some a week at a time and so on. Try out your trainer on a short-term basis to see if you can work together. See if your personalities fit. If not, find another. Most newbies will try to get in shape before they sign up for a membership in a club. Walking is a great exercise for beginners. You should walk every morning for at least 30 minutes. Do some warm-up and remember to cool-down after your walk. No money to spend walking just use a comfortable pair of shoes. I was a mall walker, it never rains, it’s nice and cool and quiet when you go early. You won’t be the only one, mall walking is very popular, my mall opens at 6 am for walkers. I know it might not be what your friends want to do, but I think if your going to join a club think about the YMCA. The reason I mention the Y is because you won’t always feel like exercising and the Y has multiple programs for you. Sport teams, classes in lots of things, a pool and some have tennis, even volleyball. Hundreds of people and kids belong to the Y and your more likely to find like-minded people. Eating is something we need to do, but it’s kind of a habit. We were raised to eat the way our parents eat and they eat the way their parents did. In my home that was meat and potatoes. In some families it might be pasta or rice and vegetables. But in this new generation of adults, fast food has really taken a hold. The meat and potatoes diet wasn’t very healthy, but it did provide nutrition. A diet in red meat and starchy foods has too much cholesterol from the meat and dairy and not enough vegetables. That was the 1950’s and 60’s and now we know that a diet like that can cause heart disease and clogged arteries. I think the increased popularity of fast food started with the increase of students working in fast food jobs during the 80‘s. Fast food jobs were about the only jobs kids could get in the 80’s and early 90’s. We sent them to work because the country was going through hard economic times and kids needed more spending money. Besides that the divorce rate was climbing and single parent families were becoming common place. The large employers were cutting back and Dads or Moms were losing those higher paying jobs and having to replace those jobs with lower paying retail jobs. For the first time in American the Retail Industry became the nation’s largest employer. So during that time families were cutting their budget which meant cutting the food budget. That was the beginning of another trend, eating out. And the eating out trend was fueled by cheap food. I remember hearing people talk about grocery prices and how It’s just cheaper to eat fast food out than buy groceries. Kids working after school meant that more kids didn’t eat dinner at home. Those kids of the 80’s are the adults, the Moms and Dads of today that have the over weight problems and their raising the kids of today that have the same problem. I’m generalizing, so what I’m saying doesn’t apply to everyone, but you can’t walk through the Mall or the Supermarket without seeing lots of people with a serious weight problem. All of this has happened in the last twenty or thirty years. We’ve been rewarding ourselves with food. “Let’s go out.” That’s a common phase I hear much too often. But anyone with an office job probably eats out more than not. And how many times are you late coming home from work so you pick up some take-out food instead of cooking. I understand you have to run errands but someone needs to be home early enough to start some dinner. If there are two adults in the family, at least one should be home at a decent time to make a meal. If you’ve planned for a dinner ahead of time, you can prepare it in 30 minutes, and there’s lots of books to show you how. Dieting is not always about starving yourself. It’s about eating healthy. And learn to avoid foods that don’t fit into your diet. I lost 50 pounds and kept it off for 20 years and you don’t lose weight permanently until you decide to change your eating habits forever. I like the Mediterranean Diet, it’s not a fad diet you go on for a few weeks, It’s the diet of the Mediterranean people for the past few thousand centuries. 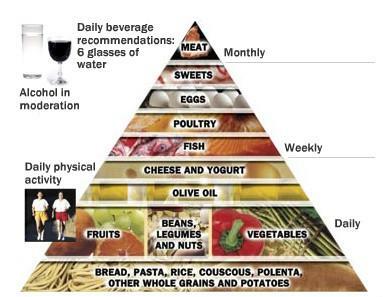 The great thing about following the pyramid is that you don’t worry about counting calories, just stay with the foods they suggest and you’ll stay full and get plenty of nutrition. You can find information about the Mediterranean diet on the internet with very little problem. This is extremely popular now, many doctor recommend this type of diet. You can eat from all the food groups with little restrictions. You eat in moderation, but if you follow the chart, you’ll see lots of choices. The foods are fresh, red wine and water are the only beverages but I did drink black coffee and ice tea plain in moderation. 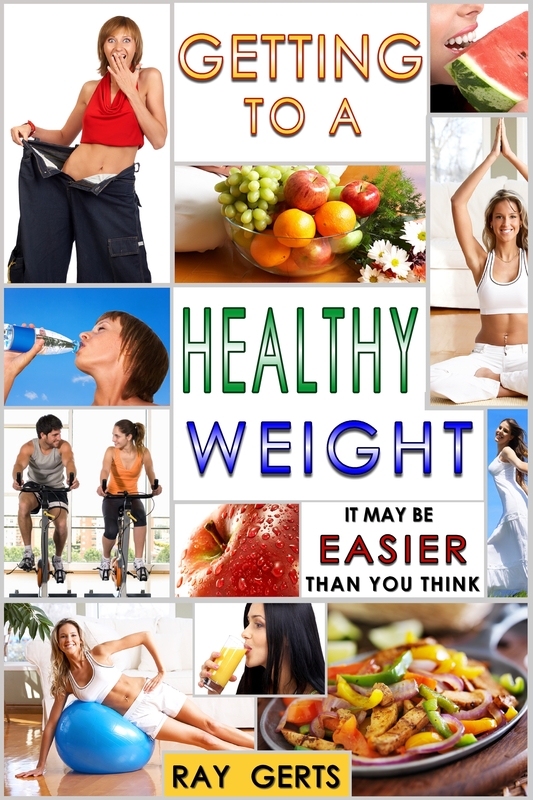 You won’t lose weight right away because there is a tendency to overeat at first. After I got use to the diet, my stomach began to shrink and I started to lose weight. Just don’t give up. New research on healthy eating has found that home cooking is better than restaurant fare, and that kids who are offered more nutritious food in school cafeterias rarely eat it. In the study on meals, researchers found that people who eat the most home-cooked ones end up eating healthier and consuming about 130 fewer calories daily, on average, compared to other people. When people cook most of their meals at home, they consume fewer carbohydrates, less sugar and less fat than those who cook less, or not at all — even if they are not trying to lose weight. Researchers found that those who cooked dinner six to seven times a week ate an average of 2,164 calories daily, while those who ate out the most, cooking dinner no more than once a week, consumed an average of 2,301 calories per day. The study, based on an analysis of national survey data from 2007-2010, will be published online in the journal “Public Health Nutrition”. Obesity is an escalating public health problem that contributes to other serious health issues, including diabetes, high blood pressure and heart disease. The evidence shows people who cook at home eat a more healthy diet. Moving forward, it’s important to educate the public about the benefits of cooking at home, identify strategies that encourage and enable more cooking at home, and help everyone, regardless of how much they cook, make healthier choices when eating out. Remember when eating out, restaurants make food that taste good, which doesn’t mean it’s good for you. The best change for the consumer, that has recently happened, is the calories will now have to be listed on menus starting next year in all the restaurant chain of more than fifteen locations. In the other study, the researchers, also from the Bloomberg School, reported that most kids put vegetables on their school lunch trays, but only one in four actually eats any.We have been thinking that if young children choose healthy food, they will eat it. But our research shows that is not necessarily so. I’m not surprised, I have 4 grandchildren and little kids don’t eat vegetables. When they’re in a high-chair they don’t know any better, but by the time they’re three my grandkids won’t eat anything green. The findings are based on an analysis of 274 New York City kids in grades K-2 who were observed by researchers during a single lunch period. Almost 60 percent chose vegetables, but only 24 percent actually ate them. Meanwhile, kids were more likely to finish their food if their teacher ate with them, and distractions appeared to make a difference in consumption of healthy food. As much as we are focused on menus in the school lunch program, we need to look more at our cafeteria environments, especially with our youngest children. We can give kids the healthiest food possible, but if they don’t have time to eat it or they are distracted by how noisy the cafeteria is, they’re not going to eat. Personally I believe it’s not only the food choices that need to change in the school cafeterias, it’s food preparation and the menu items. There’s a hundred ways to prepare corn. Just because the kids aren’t eating the corn doesn’t mean they don’t like corn. It just means they don’t like the way they made the dish with corn.